Derrick has decades of experience as a career firefighter working for the last 30 years for the Los Angeles City Fire Department assigned at fire station 80 at LAX International Airport. This has provided him with critical insight that allows him to lead emergency aerial response missions in the event of military attacks, fires or other natural disasters. His expertise in this method of gathering crucial data while keeping responders safe can often mean the difference between life and death. Derrick served as a crew leader for the 14-member Los Angeles County flight crew in Malibu. This crew is extensively trained in wildfire submission tactics, has high fitness standards, and requires specialized flight skills. Derrick and his team flew in Huey helicopters across California to fight fires, often in remote areas with little logistical support. During his career as a firefighter, Derrick gained skills in air- traffic control communication, airport familiarization, HAZMAT standards, and arson investigation. He is certified in Aircraft Rescue and Firefighting and has over 890 hours of UAS flight time. Derrick J. 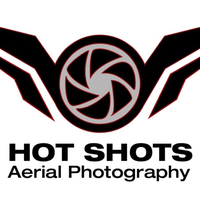 Ward is the founder and CEO of Hot Shots Aerial Photography, a professional aerial imaging service using advanced unmanned aerial vehicles (UAV) technology to provide clients with critical photos and footage in a variety of industries, including construction, agriculture, real estate, and emergency response management. He also has an extensive background with swift water rescue, urban search, and rescue. Derrick got his start in the field many years ago when he began flying UAV’s as a hobby. As his interest grew, he pursued extensive training in the operation of UAV’s, completing Dart Drone Flight School where he mastered flight systems, emergency flight maneuvers, and videography. He sought further training at Drone Pilot Ground School, where he completed UAS training in essential aeronautical knowledge concepts. Derrick has demonstrated a commitment to professional development by teaching a UAS course titled Unmanned Aircraft Systems -Use in Emergency Response Hybrid-New. He was instrumental in helping to develop the first course ever for FDIC Fire Department International Conference. Derrick Ward is currently a lead remote pilot with the Los Angeles City Fire Department's Unmanned Aerial System UAS program and was instrumental in developing and providing the curriculum for the UAS training. He also helped to get program approval, leading to the gathering of the department's FAA Certificate of Authorization (COA). He is currently working on the integrating that LAFD UAS Program with the departments Air Operations unit through developing an Aviation Training and Operations Standardization (ATOPS) a program that will safely incorporate crewed flight operations with force-multiplying capabilities of Unmanned Aircraft. Additionally, he has developed and is coordinating the Department's first UAS Operator's Ground School. This will train firefighters to master the basic UAS skill sets necessary for safe unmanned flight during emergency operations. Derrick completed the Aerial Postproduction Course from Cinematic Aerospace. He is proficient at color grading, adding music and transitions, storyboarding, assembling rough cuts, file sharing, and collaboration. He is also an Emergency Medical Technician and has completed education with the Federal Emergency Management Association Institute (FEMA) for Incident Command System and initial action incidents. He has completed Haz-Tec Systems course for familiarization of Weapons of Mass Destruction and biological weapons. Always on the leading edge of technology, Derrick invests extensive resources into the ongoing research and development of aerial imaging and data collection systems. Technology provides a wealth of advantages that will help everyone if appropriately used.